Spillage often falls on walkways running beside or underneath the conveyor. Spillage can become a drop hazard if spillage falls in bulk from a height. Slips, trips and fall risks are increased in areas where there is material spillage on the walkway, which can also create an entanglement risk. Removing spillage manually increases the overall maintenance costs in the allocation of existing, or contracted resources. Not only is this a cost inefficiency, but it can also increase the potential for OHS claims. The weight pressure of the fugitive material can cause belt misalignment, causing spillage. 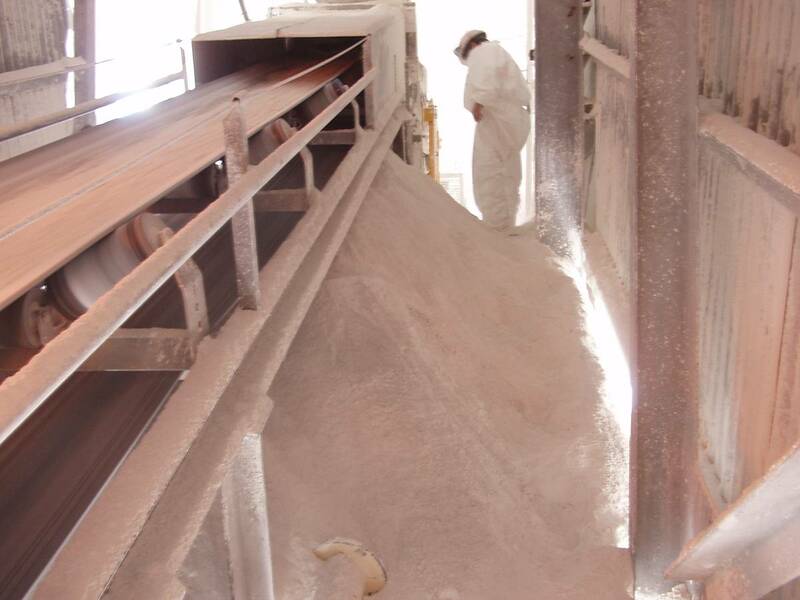 The spillage can quickly accumulate and bury idlers, conveyor components and structural supports. Unscheduled replacement costs and frequent change-out downtime both negatively effective overall productivity levels. The reduction of spillage can be considered in three stages: transfer point containment through belt support and effective skirting and seals; management of material from the carry side of the belt through correct belt alignment and creation of consistent environmental conditions; finally the efficient removal of the material at the discharge point utilising belt cleaning systems to remove material carryback.